It’s never fun going through a kitchen renovation, but it sure is fun planning and designing a kitchen. With today’s kitchen design software you can easily plan and design your new kitchen on your own. There’s also plenty of software options for designing every aspect of a home as well as some really helpful paint visualizer software options. There’s a lot of variables to consider when planning out a kitchen, but fortunately, software steps you through it pretty nicely. Since the kitchen is one of the most-used rooms in a home, careful planning is important. You don’t want to have to renovate your kitchen reno. Why use a kitchen design software tool? It’s a great starting point, especially if you’re going to hire a custom kitchen builder or cabinet maker. You can take your plans to them so they have something to work with. Of course if you’re going to build your own kitchen, plans are a necessity. Finally, using today’s incredible software (especially the 3D versions) allows you to visualize your kitchen much better than a simple black and white 2D drawing. Kitchen design software tip: Start by looking at kitchen images. Once you find a kitchen design you like in an image, work from that with your software. Amazingly, many companies offer free kitchen design tool options online. Some are available online while others must be downloaded. Below is our list of free and paid design software options that include kitchen design. Kitchen Software Quiz: What’s the Right Option for You? We kick off our review and list of the best kitchen design software options with free options. Free is great and frankly, I’m amazed at the level of quality and features some of the free options include. FYI: Some of the free listings below are really “freemium” which means you get free access to basic features but have the option to pay for premium features. Yes, we’ve partnered with a leading design software company. Click here for our free kitchen design software. Actually, this platform designs all rooms of the home, but has some nice kitchen features. FYI, there are some premium features as well. Finally, if you’re on a mobile device, be sure to click through for the mobile version. That said, it’s pretty difficult using design software on a phone. I personally wouldn’t bother. Tablets are okay; laptop or desktop computers are best. This is a unique offering in that its focus is on designing backsplashes and cabinets. Try the backsplash design software here. It’s very easy to use to test backsplash patterns, cabinet colors and countertop designs against one another. It’s totally free (offered by a backsplash retailer so they hope you buy products from them. This is good because those retail profits make it possible to provide this free software (it’s not cheap developing and providing online software). The graphics aren’t as crisp as premium software providers, but it’s a great platform to muck around with various designs to get an idea of some basic backsplash colors, materials and shapes. Check out this backsplash and cabinet design software. Below are screenshots showing you the options for design. Homestyler is an immensely popular online interior design software option (largely because it’s free and offers 3D output). This particular program offers a kitchen module. How it works is you start with planning the layout/footprint. From there, you choose the kitchen module so that you can input kitchen-specific items such as cabinets, countertops, sinks, appliances, etc. Another nice feature is they offer a mobile version here. Home Hardware offers one of the best free kitchen design software platforms. They have an online option dedicated to kitchens and includes several templates to work from (or create your own from scratch). The entire software platform is available online so you don’t have to download anything. Moreover, there are several pre-designed templates you can load and go from there. Go to Home Hardware software here. The IKEA 3D Kitchen Planner is great if you’re going to buy an IKEA kitchen. I’ve purchased my fair share of IKEA furniture and furnishings over the years. Their products are hit and miss. I like IKEA kitchens because they look good, yet don’t cost a fortune. As for durability and quality, I can’t speak to that because I’ve never had an IKEA kitchen. Visit IKEA kitchen planner here. I like this free design software. For a free option, it renders very real-looking interior designs. While it designs entire homes and offices, it has a great kitchen design module. Check out the 3 examples… the level of detail is incredible. So yes, you can use it to design just your kitchen. The downside to this option is the design options for your kitchen is more limiting than other design software programs (but it is free). The default program is best on desktop. If you want mobile, get the app. FYI, there are some premium features that require you to pay. Lowe’s uses the same virtual kitchen software platform as Home Hardware. You can click the images to enlarge them to see the level of detail and quality of the three-dimensional design and rendering. Like Home Hardware, this is totally free with the hopes you’ll buy kitchen cabinets and such from them. It’s a bit slow to load and a little clunky to use, but the examples illustrate that the outcomes can be pretty good for free. See Lowe’s Kitchen Software here. Roomstyler is an easy-to-use online 3D design software option with a kitchen module as well. Like many other platforms, you start with the layout/footprint, and then add the individual design elements. With Roomstyler, you simply choose the kitchen module with which you can complete the kitchen design. Interestingly, Roomstyler is one of the only options that offers cookware, utensils, glassware, other dishes, small kitchen appliances, etc. You can really design the kitchen to the last detail (although I’m not sure how helpful adding dishes and utensils is to your kitchen plan). Floor planner lets you create one design for free. You must pay for additional plans. Floor Planner is a good option for creating layouts or blueprints. So if you’re looking to toy with kitchen layout ideas, this is a good option. If, however, you’re looking for a fancy 3D rendering of your kitchen design, I suggest trying a different option. Check out Floor Planner here. I’m very impressed with how real the kitchen plans are generated by Prodboard’s 3D kitchen planner. While Prodboard focuses on selling a license to its software to businesses, you can use the kitchen planner for free. RoomToDo software serves both individuals looking to create 3D home designs, including kitchens as well as businesses such as interior designers, furniture retailers, realtors and other businesses that need white label kitchen design software. When you visit the home page you’ll see an example of just how impressive this software is at designing 3-dimensional room and home designs. 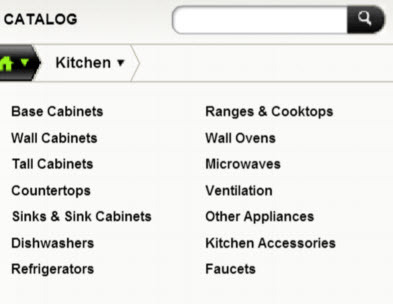 When you open the design canvas, you’ll discover the kitchen design option in the navigation options on the right. Within the kitchen design portal are options for designing a terrific kitchen. There is a fully mobile version of this software as well. RThe kitchen is a very important room in your home which needs very careful planning. There are many thing to take into consideration when you are moving into a new home or you just want to remodel your kitchen. So you don’t know where to start? We say to start using a room planner which allows you to easily draw the layout of your kitchen, without having special technical skills. This is where a floor planner is coming in handy. Usually they are user-friendly and intuitive tools which allow to draw and visualize your kitchen. One easy way would be to upload in the background the blueprint of the kitchen and be able to draw it starting from there. PlanningWiz 3D floor planner allows you to upload a background image or a pdf with the blueprint sketch and create an interactive floor plan which you can redecorate. PlanningWiz is populated with generic objects which can be used to make an idea of how you would like to decorate your kitchen. All items are resizable so you can fit each object exactly into your space. Moreover, you can visualize your plan in 3D for a more realistic perspective. PlanningWiz helps you visualize your ideas in order to make the proper decision when it comes to remodeling your kitchen or decorate it from scratch when you are moving into a new home. Shorten your time in communicating with your architect or your contractor by showing them your ideas in an interactive way. I love Caesarstone’s visualizer because of its simplicity. You click an area in the kitchen and then design options slide in from the side. For example, when you click on the backsplash, a variety of backsplash options slides in that you can try. The software allows you to compare cabinets, countertops, flooring, wall color and backsplash. Click here to try Caesarstone’s visualizer. This kitchen virtual room designer is much like Caesarstone above. You click an area of the kitchen and then design options appear. You can mix and match all kinds of designs. You also have several starting kitchens to get started with. You can test flooring, cabinets, countertops and backsplashes. Try this free option here. With Formica’s “Design a Room” software you can upload your own photo or use a room photo provided. Once the software loads online, you hover your cursor over the parts of the kitchen you want to test different colors and materials. The red dots you see in the screenshot above are the areas you can customize. It’s a straight-forward kitchen designer. Here’s another kitchen company offering a free kitchen visualizer. Like several others above, you can monkey around with countertops, backsplash, cabinets, flooring and appliances. Try this kitchen software here. For those of you looking for a more robust software option for your kitchen design, consider paying for a premium option. We’ve test-driven many of the leading kitchen design programs and list them below. Many suggest Chief Architect is the best interior design software under $100. It no doubt is very popular. It’s a robust software package that can design any room in your home, including kitchens as well as full home blueprints. While it’s hard to say whether it’s better than Punch or not, you probably won’t be disappointed. The degree of detail and design options is second-to-none. I have the Chief Architect Software design program which covers quite a bit more ground (but costs substantially more). I’ve used and love it. You can’t go wrong with Chief Architect software products. FYI, this software is incredibly robust so there’s quite a learning curve to it, but once you know it, the sky really is the limit. IMPORTANT: Be sure you buy the right version for Mac or PC. ProKitchen is a paid kitchen design software option that works on both Mac and PC. It produces designs in 3D. One nice feature is that it includes products from over 300 manufacturers and appliance catalogs. This way you can visualize exact products in your kitchen before committing to any purchase. This software also produces designs in 3D. The level of detail in the rendering is off the chart with this software. You can also view it in 360 degree view which is really cool. Check out the gallery of example designs to get a real feel for what this software can do. Check out ProKitchen software here. 2020 Kitchen Design software offers some advanced design options such as the ability to adjust lighting in the graphic design, create and view 360-degree views and import 3D shapes. While it’s widely used by pros, anyone can use it. You do, however, need to request a 30-day free trial (I don’t particularly like it when you must request and wait to use something). The renderings are very impressive. The image to the right is a rendering of a kitchen design created by 2020 Software. It almost looks real. If you’re into interior design and your home, you no doubt have watched HGTV. If I were restricted to one TV channel, I’d choose HGTV. HGTV offers several interior and exterior design software programs including one dedicated to kitchen design. It does cost money, but it’s not too pricey and you can instantly download it. Paid design software generally offers more options when designing. You’ll notice this pretty quickly when using the free options. If you wish to design every last detail, it’s worth spending a few dollars on a paid version. 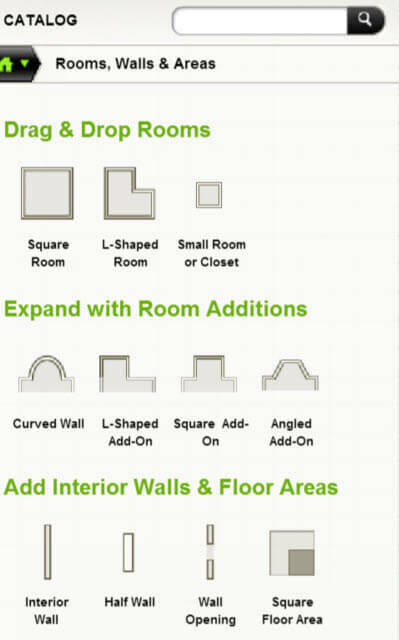 Check out HGTV design software here. I also have this software and love it. Like Chief Architect, there’s a learning curve to this because there are so many options. Yes, you can design full kitchens, but so much more including full home blueprints, other rooms, gardens, landscaping, decks and more. Punch! offers a variety of software options. I bought the more expensive Home and Landscape Design Architectural Series, but you don’t need this to design a kitchen. You can opt for just the interior design product which costs quite a bit less. I have this, have used it, and recommend it.